I know I went crazy with stitching too :D It was so much fun. Hope you like it (them)! !Thank you for visiting!! WOWO!! This is some serious artistic stuff!!!!! Really way too neat. Loved them both. the Colors and the stitching..just amazing. Wonderful stitching on your cards! Thanks for playing with Speedy's Friends! What sensational pleated candles and stitched flames!! Thank you, Ujjwal, for sharing these great cards with the Friends of Speedy the Cat in this week's stitching challenge. Wow! Love both cards!!! 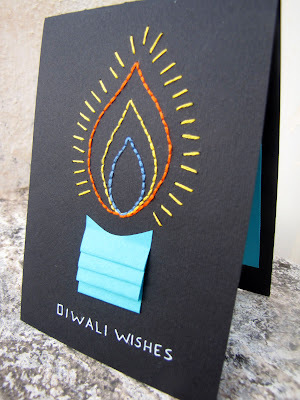 Happy Diwali!! Thanks for sharing and great inspiration!! 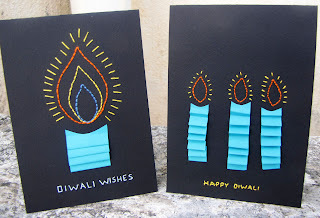 Lovely diwali cards :). love the sewing.. beautiful. OMG these are lovely Ujjwal, handstitched sentiments, wow!!!! 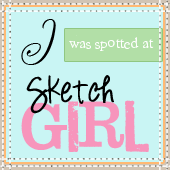 way to go girl! great idea! very very creative! 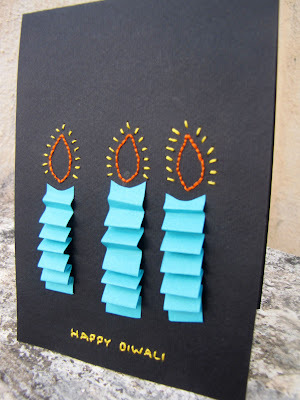 Very creative yaar.. great cards. great idea and very creative !! How do you make these ? what kind of paper and needle for the stitching ?